The Green New Deal sets out a new direction for Europe. As economic, social and environmental crises converge, it is time to shift our course from destructive short-term profiteering towards sustainable, long-term prosperity. 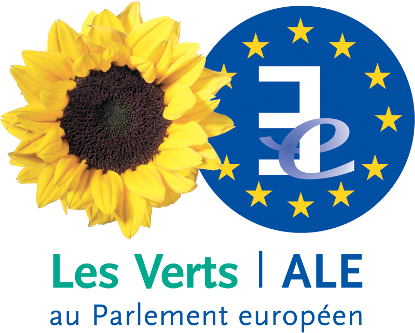 As the economic, social and environmental challenges currently facing the EU are closely interrelated, they must be tackled together as part of a comprehensive package which for us is the Green New Deal. The Green New Deal which we propose is the only way of really delivering the changes to the way we live and work that will result in the reductions in greenhouse gas emissions which science shows will be necessary if we are to avoid the most disastrous impacts of climate change. Crucially though, the benefits the Green New Deal will bring are not restricted to the arena of climate protection or the environment, as important as they are .The Green New Deal will provide a major boost to the economy, lead to sustainable economic development and result in the creation of millions of new “green collar “jobs in renewable energy and other future-oriented technologies. In terms of social policy, the Green New Deal will ensure that social and labour rights are not weakened or sacrificed in the name of competition and that services of common interest are provided in the fairest way possible so that all of our citizens can be protected from social and economic exclusion and enjoy a good quality of life. Greens will continue to defend equal rights for all within and outside the workplace, fight all forms of discrimination and intolerance and take the urgent action required to help the most disadvantaged in society. Climate protection. The greatest challenge of our time urgently requires the EU to listen more to scientific advice and less to industry lobbying. Europe must lead the industrialised world by committing with a real sense of urgency to the policy and legislative changes which will lead to the necessary reduction in its own emissions and support sustainable development in other countries. A resource and energy revolution. We urgently need to adopt a more sustainable approach to our use of rapidly dwindling resources. Massive investment in clean, safe energy and energy savings are essential. Seriously scaling up renewable energy will cut dependence on dirty fossil fuels, avoid the persistent problems of nuclear and create millions of jobs in the EU alone. Move green. The Green New Deal promotes more sustainable transport for people, both locally and internationally, and shifts freight to the least polluting means of transport. Environment and agriculture. Protecting the environment means safeguarding our future and prioritising our health. Making polluters pay will help ensure clean air and water are not compromised by commercial interests. It is time to tilt the balance of agricultural policy away from intensive industrial production and towards sustainable local farming. We should aim to put the best quality food on our tables and outlaw dangerous practices like genetic modification. Reforming agricultural and fisheries policies will also make them fairer for non-EU countries. Regulate to accumulate. Recent events show it is necessary to rein in and regulate the excesses of financial markets. Credit needs to be based on realistic values and made available at preferential rates to small businesses and investment in future-oriented technologies. This approach will ensure that markets are dynamic and reward innovation and vision while avoiding reckless speculation and risk-taking which threatens the economic security of millions of individuals, families and society as a whole by creating a strong framework of rules and regulations. Rights for all. Europe’s cutting-edge business rules are not matched by the rights afforded to its workers and residents. Equal rights must be guaranteed for all within and outside the workplace, quality public and social services provided and urgent action taken for the most disadvantaged in society. A more democratic EU. Decision-making must be more transparent and democratic participation broadened so that all can make their voice heard, not only powerful lobbies. Freedom of expression must be defended for individuals and the media, as well as the right to privacy and data protection. Migration and asylum. The emphasis must shift from outlawing “illegal immigration” to offering fairer and better treatment for people who wish to live in the EU or who seek shelter out of desperate necessity because of the situation in their own countries. Europe in the world. The EU must promote peace, democracy, sustainability and human rights beyond its borders through its political and business dealings. It must end the injustice of its biased agricultural policies and make trade a good deal for all. And it must be influential in areas of conflict on its doorstep or in the wider world. Only a Green New Deal sets the right course for the long-term, sustainable future of Europe and beyond. Only the Greens are committed to policies that truly prioritise our planet and our people. To vote for a Green New Deal, vote Green.